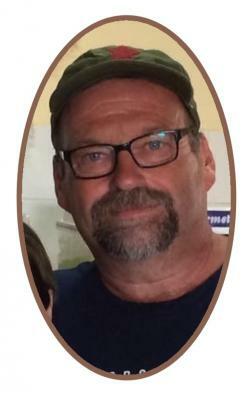 Barry Roger Oickle, 58, of Upper Cornwall, passed away on March 31st 2019. Barry was born and raised in Upper Cornwall, with his Mom, Marion Oickle (Nauss); Dad, Franklin Oickle; and two brothers, Richard (Dianne) Oickle and Wade (Debbie) Oickle. He was described as mischievous in his younger years. In his teenage years, he was known for his crazy adventures and getting himself into some funny situations. He married his wife, Gretchen Oickle (Wile), in 1982. They built their house from the ground up next to the farmhouse where he grew up. There they raised their children, Alicia, Laura, and Stephen. He was lucky to have known his children’s spouses, Shawn McDade, Chris MacNeil, and Emily Tanner-Oickle, and welcome five grandchildren, Leah, Emma, Thomas, Archer McDade, and Greyson Oickle, to the family. He had many special nieces and nephews, who would describe him as the fun uncle. He adored his family and loved to spend time with them. He worked with the Dept. of Transportation for 27 years before retiring. After he and his wife moved to Marriott’s Cove, Barry continued to do Winter Works with the Dept. of Transportation and also worked at All Outdoors Landscaping. He made many friends at work and enjoyed making them laugh. Barry will be remembered for his love of family, kind heart, good humour, work ethic, love of the outdoors, the way he would welcome you into his home and feed you a good meal. We were blessed to have him and forever wouldn’t have been long enough. No visiting hours. A funeral service will be held 2:00 p.m., Thursday, April 11th 2019 in New Cornwall Baptist Church, 2222 Cornwall Road, Middle New Cornwall. Reception to follow. In lieu of flowers, memorial donations may be made to the Mental Health Foundation of Nova Scotia.